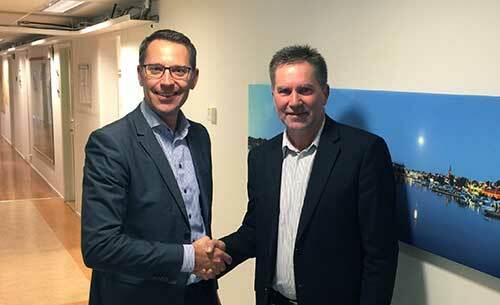 Västervik Miljö & Energi has awarded to Aidon a contract for the delivery of a new generation smart metering solution. Västervik’s intention is to replace all existing meters with next generation reading system based on radio technology as the communication solution for data delivery. Deployment of the new system will start already this year and the roll-out is planned to be completed during 2017. – Our existing meter reading system has become outdated, and instead of renewing it step by step we decided to replace it completely. The new solution from Aidon will bring the meter reading system’s functionality and performance to a completely new level, making a wide range of valuable information, available to us, says Per Allerth, CEO of Västervik Miljö & Energi. – Västervik Miljö & Energi wanted a feature-rich AMI solution with advanced smart grid functionality, and we are proud to be the provider of such solution to them, says Fredrik Rex, Managing Director of Aidon in Sweden. – We look forward to starting the cooperation, which will also mark the beginning of the 2nd wave of AMI deployment in Sweden, in accordance with the new requirements, Rex says. From left: Fredrik Rex, Managing Director, Aidon in Sweden, and Per Allerth, CEO of Västervik Miljö & Energi. Aidon is a leading provider of open-architecture based smart metering systems and new generation energy service devices in the Nordics. Aidon has deployed or signed contracts for more than 2.5 million metering points in the Nordics. Aidon has offices in Jyväskylä and Vantaa in Finland, Täby in Sweden and Asker in Norway. Västervik Miljö & Energi helps to make its customers’ life easier by providing them with water, heat, electricity and broadband service. The company is also responsible for waste management and maintenance of streets, squares and parks in Västervik. Västervik Miljö & Energi AB manages, on behalf of Västerviks Kraft Elnät AB the operation and metering of the electricity grid.